Both spoken and written forms of Japanese contain lots of onomatopoeia. Despite this, few textbooks spend much time explaining Japanese onomatopoeia in detail. I highly advise learners dedicate time to study this fascinating part of the language. We Japanese learners can often guess the meaning of some words in context. However Japanese people tend to use onomatopoeia in a much broader sense. Japanese uses gitaigo to mimic a state. This is pretty uncommon in English; there are terms like higgledy-piggledy (meaning ‘in a messy state’) which have a similar feel. Firstly, words that indicate a state or condition, e.g. Secondly, words that describe how an action is being performed, e.g. Lastly, words that indicate feelings or emotions, e.g. If I come across a new onomatopoeia, I look it up in a dictionary or ask a friend to confirm the meaning. Then I make a note of it in my vocabulary notebook. When I do this, I always write it down as a phrase or in the context of a sentence rather than the word on its own. Since these words are often hard to translate into English, having example sentences or phrases are essential. Studying them in the context of sentences will be helpful for not only memorising onomatopoeia but also using them naturally in conversation. This is especially true for gitaigo which is less intuitive to English speakers. Onomatopoeia is very frequently used with specific verbs. Others are formed into verbs by adding する, so remembering the onomatopoeia as a verb means you will know the meaning of it even when it appears without する. You’ll notice in some of the examples in this post that some onomatopoeia can take the particle と, often when with a verb. There isn’t a specific rule on when to use と. My recoomendation is to make a note of which words use it in your example sentences or phrases. Referring to a decent Japanese-English dictionary is fine for giving an idea of a rough meaning, although you may find that there is not a direct English translation. There is a great website called the Onomato Project which lets you practice onomatopoeia in the form of online quizzes. 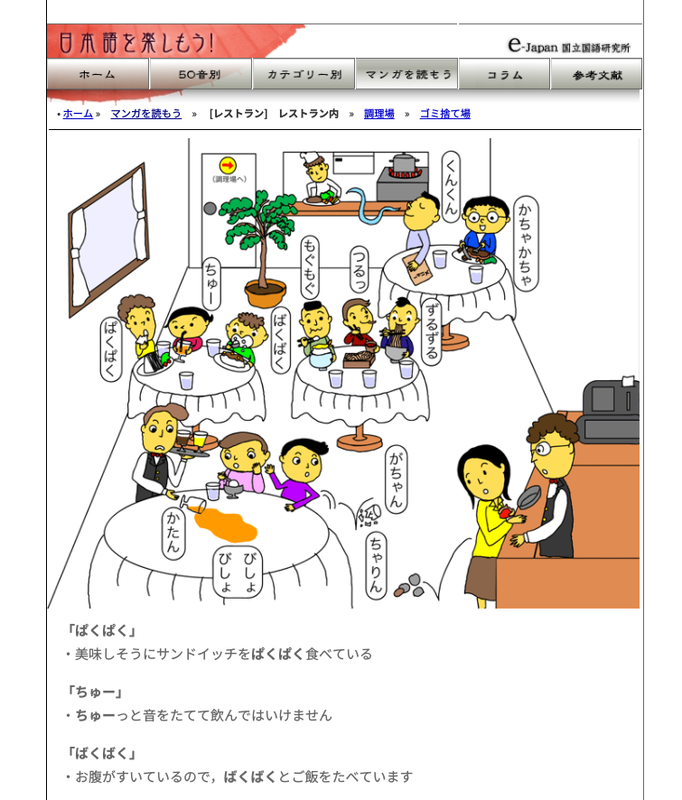 Each word is accompanied by illustrations and example sentences. 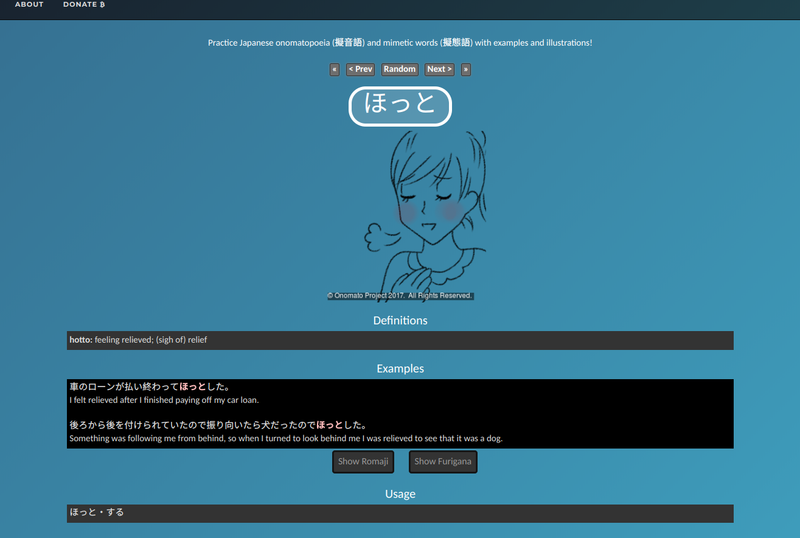 If you use Anki, you might find the shared Onomatoproject Anki deck a better choice for studying on the go. However, if you are an intermediate learner, then I fully recommend going straight to a Japanese resource called Sura Sura, which is an online Japanese onomatopoeia dictionary. 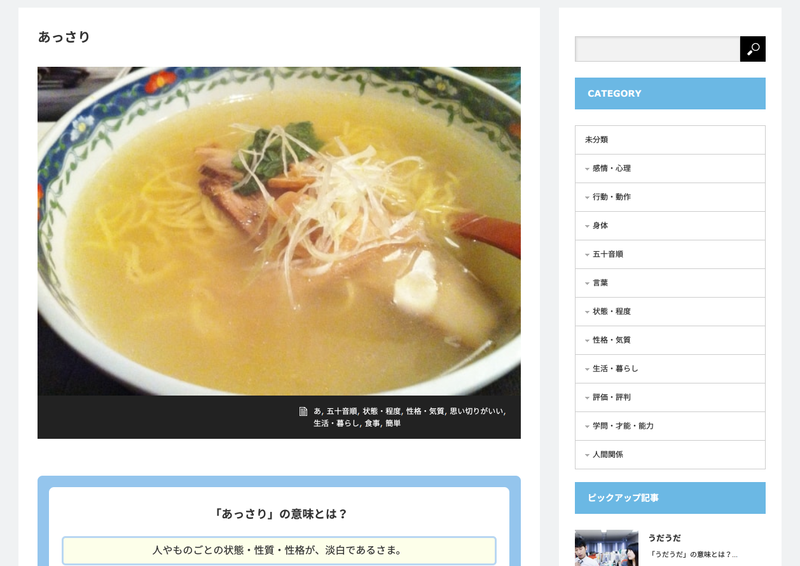 It may not have every word you are looking for, but for the onomatopoeia that is on the site, you will find a simple explanation in Japanese, accompanied by a photo which helps illuminate the meaning. Each onomatopoeia also has example sentences and notes on things like the etymology of the word and how it differs to others with a similar meaning. Best of all, each page has a link to Twitter showing tweets from native speakers using the word you are looking up. I also recommend the マンガを読もう section of the NINJAL website above which has some extremely helpful comic illustrations. 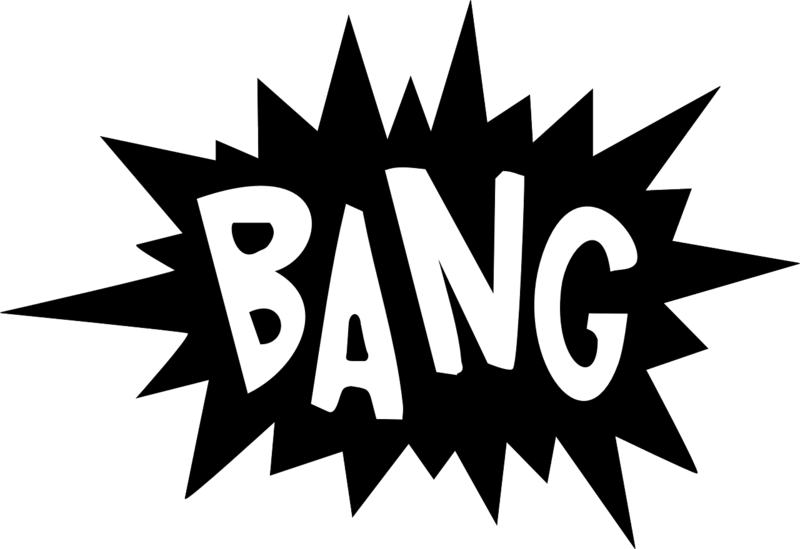 The above websites show just how useful it is to have visual context for learning how onomatopoeia is actually used. Therefore pictures, manga, and TV are especially good places to see these words in context. Sometimes I will draw a picture (despite being terrible at drawing!) alongside new onomatopoeia in my notebook. PS. Think you’re pretty good with onomatopoeia in Japanese? Check out this video below and see if you can spot them all! Do you have any special tricks for learning onomatopoeia? Let me know in the comments! Ah thanks for pointing that out, I’ll add the romaji in later! You’re really helpful. Thanks for the onomato project! My favorite one for laughter is “herahera” :-).Thanks for the detailed post. Didn’t know about Onamato project. Hi, thanks for commenting – I’m glad you find the post useful! Hi Yuni, thanks for commenting 🙂 The website for sura sura is http://sura-sura.com/ – I’ll make sure that the link in the post works properly!